31 Most Beautiful College Campuses in the U.S.
No matter what kind of cough you have, it’s probably exhausting and irritating. There are several kinds of coughs, which means there is no one-size-fits-all course of treatment. Here’s a look at the kinds of treatment appropriate for different types of coughs. A dry cough most often accompanies viral infections, like the common cold or the flu. While you can try treating it at home with honey and tea, eventually you might need a trip to the doctor, particularly if it lasts more than three weeks. The best treatments are those that keep the throat coated so it doesn’t get too sore. Cough lozenges help by creating more saliva, which helps keep the throat and airways more moist. Additionally, you can find some cough syrups over the counter. Experts recommend dextromethorphan as temporary relief for a dry cough. Whooping cough is a particular kind of dry cough caused by pertussis. It may start out as a bad cold, but within two weeks you may find yourself coughing so hard it almost makes you throw up. 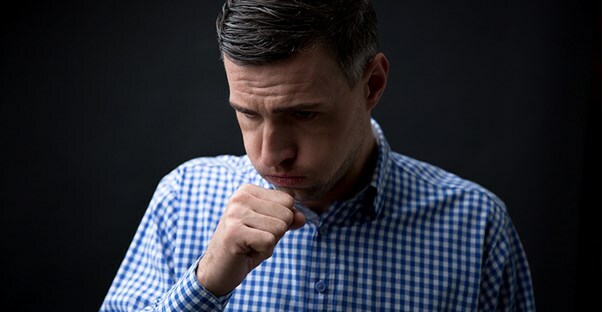 Whooping cough gets its name from the “whoop” noise that occurs when you inhale after a fit of hacking cough. If that’s the case, go to the doctor immediately and get started on a round of antibiotics so you don’t spread it around. There are several things that can cause a chronic cough. Among those that cause a dry cough are gastroesophageal reflux disease (chronic acid reflux) and asthma. To manage a chronic cough caused by GERD, try treating your acid reflux. The acid can damage your throat, leading to a dry cough as soon as you lay down at night. Furthermore, treating asthma can be a lifetime activity. It may involve an inhaler that releases a steroid into your lungs and/or a long-lasting beta agonist for relief. Oral medications are also available that open the airways to make it easier to breathe. Avoid dust and other triggers. A wet cough is one that produces mucus or, more often, phlegm, which is produced by the airways. A wet cough often accompanies pneumonia, bronchitis, and other bacterial infections, because the body produces more mucus to try to filter out bacteria, as well as producing other expectorants to reintroduce moisture to the airways. To treat a wet cough, you are looking for a product that will help break up expectorants, making it easier to cough them up and spit them out, as well as creating less, so that it doesn’t drip down your nose and tickle your throat. Pneumonia needs antibiotics to cure it. Bronchitis often arises as a result of other viral respiratory infections and only requires antibiotics if your physician suspects a bacterial infection is the cause. In any case, coughing up the mucus and phlegm out is your best bet to feeling better. Avoid cough suppressants until bedtime, so you can get a good night’s sleep. Common chronic causes of a wet cough include chronic obstructive pulmonary disease (COPD) and postnasal drip. Treatment for COPD is similar to asthma, requiring bronchodilators to open up the airways and steroids to help with inflammation. In many cases, the body produces the extra mucus that’s being coughed up because the sinuses are too dry. If you tend to experience congestion or a runny nose and cough during the winter, you might be dried out. Try a daily saline nasal spray to add moisture. If your wet cough is because of allergies that cause your post nasal drip, a neti pot can help clear allergens out of the sinuses, decreasing the amount of mucus that is trying to filter the allergens out of your nose. Try sleeping with a humidifier (especially in the winter), and talk to your doctor about which long-term allergy medication is best for you.